Complete with live keyboards and two male vocalists, Lights and a 12ft Backdrop 2 Much 2 Young will perform an authentic Set of Ska classics hits from the last 40 years - Madness, Bad Manners, The Specials, Selector, Desmond Decker and a few new ideas from us will soon have the party in full swing. We Can Perform 1 x 60 Minute Set or 2 x 45 Minute Sets with A Break and fill in the gaps with our CDs if needed. And Its Guaranteed to fill the dance-floor !!! Call - 07713 973953 For More Details And Availability!!! 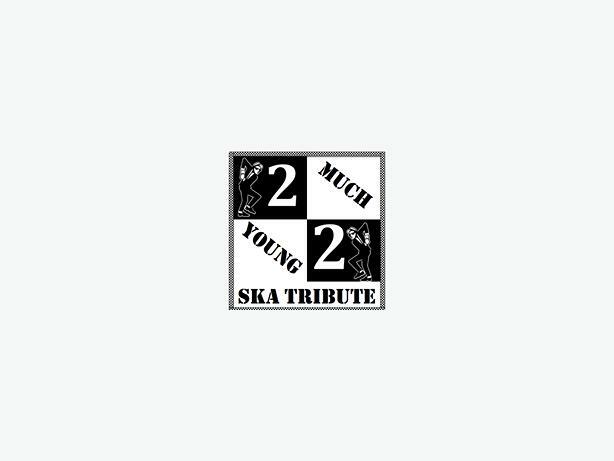 2 Much 2 Young Ska Show.